Municipal affairs journalism is in decline. What does this mean for cities? Dale Bass started her 45-year journalism career in 1973 at the London Free Press. She remembers a bustling newsroom of 185, with two or three city hall reporters. Bass would sometimes be sent to the municipal Committee of Adjustments, which dealt with “neighbourhood squabbles”, when city hall reporters were busy with more important work. Bass recently retired from Kamloops This Week, where she had worked since 2000. Before she left, Bass inherited the provincial and federal politics beat from a recently departed reporter. Since her retirement, Bass says there is now a single journalist at Kamloops This Week who reports on municipal, provincial and federal politics, plus business. “Plus, whatever else they throw at her,” says Bass. City hall reporters have traditionally found a home in well-funded newsrooms, doggedly holding government to account by following the ins and outs of committees, budgets and other not-always-thrilling municipal activity. Research shows these journalistic watchdogs benefit their communities. Citizens with access to local news tend to be more civically-engaged and turn out in local elections. Municipal mismanagement and corruption occur more often in communities lacking local news media outlets. The stark decline of city hall reporting is laid out in a recent report by the Public Policy Forum, a non-profit think tank in Ottawa. Mind the Gaps found that between 2008 and 2017, city hall reporting at news outlets in 20 small and mid-sized Canadian cities dropped 38%. 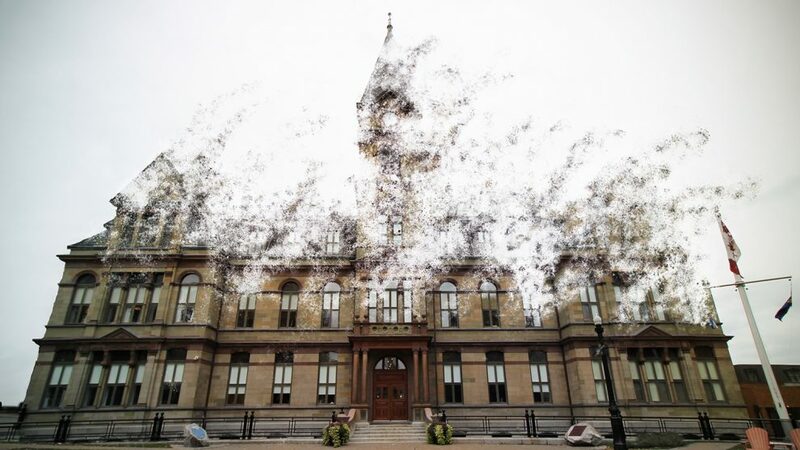 As city hall news dries up, are Canadians being left in the dark on municipal affairs? If so, how will that impact their lives? Statistics Canada reported a 20% drop, between 2014 and 2016, in newspaper industry revenue. Digital advertising revenue has soared, but Google and Facebook gobble up more than 70% of the pie, leaving traditional news outlets to fight over scraps. From 2008 to October 2018, the Local News Research Project reported that 260 news outlets closed across Canada, while 85 launched in the same period. The Project is a collaboration between Ryerson University’s School of Journalism and the University of British Columbia. Lead investigator for the Local News Research Project and a Ryerson University professor, April Lindgren, says the Project was created to track local media in communities across Canada. Lindgren says there is a lack of research on the effect of shuttered media outlets on local government reporting. Pam Berman has been a municipal affairs reporter with CBC Halifax since 1997. She remembers being thrown into the beat, just a year after the city amalgamated, and the mentorship she received from other reporters covering city hall. Now Berman has her own knowledge to share, but isn’t sure if it will be passed on. Turning the corner to 60 and eyeing retirement, Berman says there are still reporters at council meetings. But she’s concerned the ones attending are spread too thin and juggling too many beats. Berman is tasked with covering all municipalities across mainland Nova Scotia for the CBC. She says management is interested in filling her position when Berman does decide to retire. Berman hopes someone young and ambitious will step up. Berman has delved into Halifax election campaign donations and catalogued expenses by municipal officials across Nova Scotia. Many taxpayers weren’t pleased to hear of tens of thousands of dollars in travel expenses, including on alcohol, that their local councillors were racking up. Berman attributes her exposé to a new set of rules for municipal expenses introduced in Nova Scotia in 2017. Bill Karsten says he agrees media coverage of local politics is important, but doesn’t see it as a pressing issue in his community. Karsten is a city councillor in Halifax and has served since the 2004 election. He is also First Vice-President of the Federation of Canadian Municipalities, which represents the interests of more than 2,000 communities across the country. The Federation represents communities of all sizes, from sleepy villages to pulsing cities. He adds declining media coverage has not been a topic of discussion for the board of directors. Civic engagement is tied to local news habits, research has shown. Communities with strong local media enjoy higher levels of voter participation. Newspaper closures lead to higher government wages and municipal deficits – both a burden on taxpayers – according to a recent report from the University of Notre Dame. The simple existence of local media can be a “scarecrow” against corruption and mismanagement, says Philip Napoli. He’s a professor of public policy at Duke University and led the 2018 Assessing Local Journalism report. It analyzed 100 American cities with a population of 20,000 to 300,000 people. The picture it painted of the state of journalism was grim. “How do we engage with people?” Betty MacDonald says local governments ask this question as they struggle to communicate with their citizens. MacDonald is the Executive Director of the Nova Scotia Federation of Municipalities, which counts 50 communities across the province as members. Despite communications challenges municipalities may face, MacDonald says, the decline of media outlets has not been raised by any federation members. In the United Kingdom from 2007 to 2017 the number of reporters fell from 23,000 to 17,000 and more than 200 media outlets closed. BBC is funding “local democracy reporters” to bolster coverage of municipal governments. So far, 144 reporters have been assigned to 59 regional news organizations across the United Kingdom. Media in the United States is also suffering: from 2007 to 2017, the total circulation of daily newspapers fell from 40 to 30 million and advertising revenue plummeted from $45 to $16 billion. Some help is coming from private philanthropy, with a $20 million fund promised by the Knight Foundation and the Lenfest Institute for Journalism. This money will be used to help local news organizations in the United States “build trust with their audiences and achieve long-term business sustainability,” according to the Knight Foundation website. In 2017, Ottawa’s Public Policy Forum recommended in its The Shattered Mirror report for the creation of an arm of the Canadian Press focused on local news, at a cost of $8 to $10 million per year. The Canadian government has not announced it will support this. Still, $50 million over five years was committed in 2018’s federal budget to “support local journalism across the country.” The budget also recommended that news organizations be made eligible for non-profit status by amending Canada’s charity laws, a change seen by some as a step toward making journalism sustainable. Despite federal funding promises and skyrocketing Internet advertising revenue, digital news outlets are struggling to find firm financial footing to report on municipal affairs. But Joey Coleman isn’t discouraged. The Hamilton-based journalist heads a four-year-old digital media outlet called The Public Record. It describes itself as Canada’s first local crowdfunded news outlet. Coleman has spent years diligently covering Hamilton City Hall. He says it was rare to see other journalists at committee meetings. 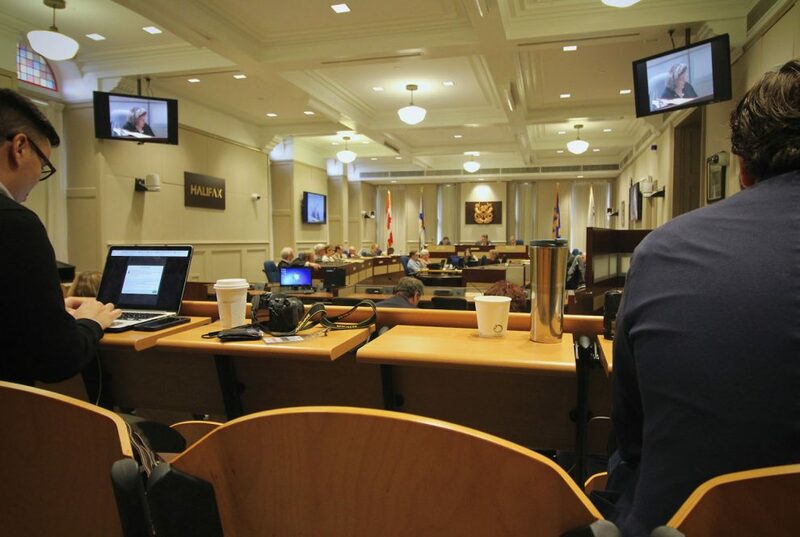 When Coleman began live-streaming council meetings, the foreground of the video feed featured an often-empty media row. Hamilton now broadcasts its city hall meetings online, which Coleman attributes to his live-stream. The Public Record is working on an ambitious podcast series, The 155, featuring all 155 candidates running in Hamilton’s 2018 municipal elections. Coleman asks each guest questions from the same list, such as “do they live in the district they are running in?” Coleman says that public reaction to the short, straightforward episodes of The 155 has been positive. Although it’s going slower than he’d hoped, Coleman says The Public Record is moving towards financially sustainability. It now has 40% of the revenue it requires. Despite the challenges, Coleman says he’s not giving up any time soon.